Mainly sunny. Warmer. High 74F. Winds NW at 5 to 10 mph.. Even worse, because he is the only son, Larry is charged with saying Kaddish, the prayer of remembrance, for his father each day for the next 11 months. Larry resists — actually, he refuses — and quickly initiates an alternate scheme. At the website kaddish.com, Larry uses his credit card to sign up an Israeli rabbinical student named Chemi to bear the responsibility of reciting that daily Kaddish, thereby laying the soul of Larry’s father to rest and allowing it to enjoy the eternal feast of the afterlife. Shuli knows that he has been living “a ghost life, a spiritual existence that one could, like steam, push a finger through.” In some of the best and most moving passages of the book, he discusses the matter with Gavriel, a pre-Bar Mitzvah student of his, a young man who is probably as intractable as “Larry” was at the same age. 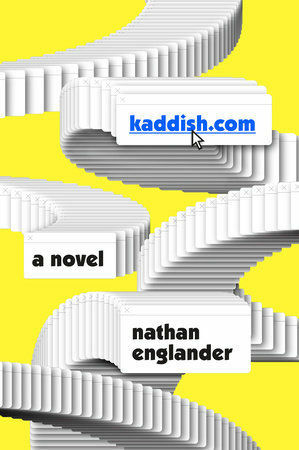 Vestigial guilt turns to obsession as Shuli’s journey takes him to Jerusalem, where he studies scripture and suffers through learning the discomfiting truth about kaddish.com. Steven Whitton is a retired Professor of English. HOT BLAST: Do you trust Facebook and other social media outlets to protect your personal information? Facebook finds itself in a brewing controversy over how its users online habits were revealed to political campaigns. Do you trust social media companies to guard your private information?